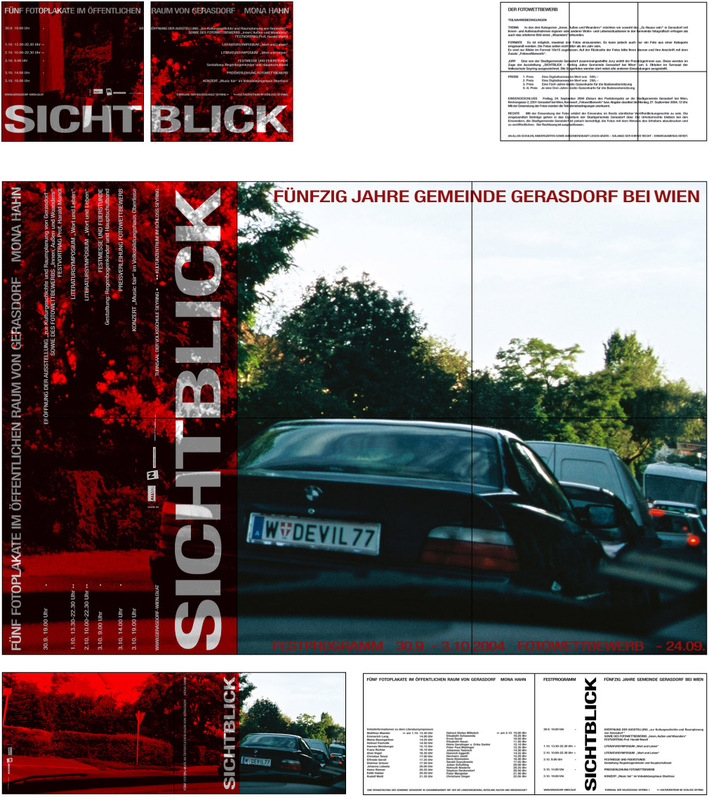 The poster and folder for the art project ‘Sichtblick’. The sujet partly covered with a red foil is an image from the countryside in Austria. The art project deals with the view of the people (coming from there) on their own surrounding. They are asked to take pictures and take part in a competition with price money – as part of the project. The poster we designed is printed double sided, on the front the sujet, on the back side are the conditions for the competition. So it is also the invitation folder for the project, with a seize of 28.3x 29.7cm – for hand out. There is also an invitation card for mailing.